Luke and I were feeling kind of bored on Sunday so he suggested making a craft. Good old Pinterest. 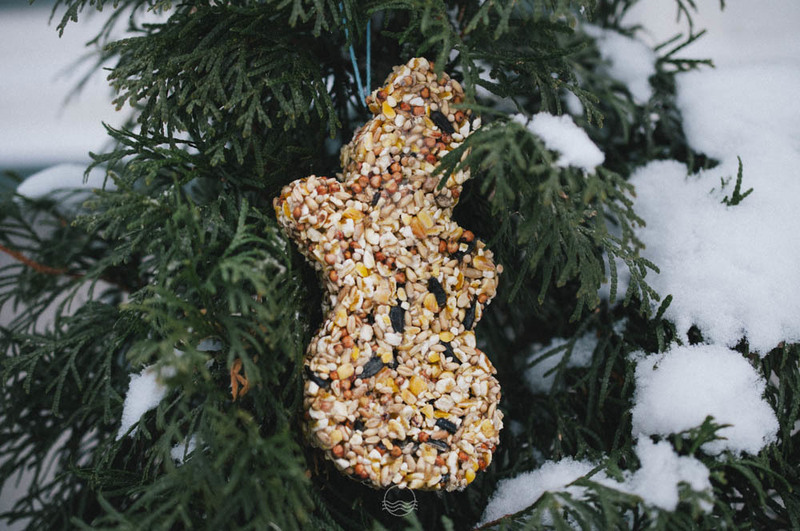 We quickly found an easy recipe for bird seed ornaments to hang outdoors for our feathered friends. 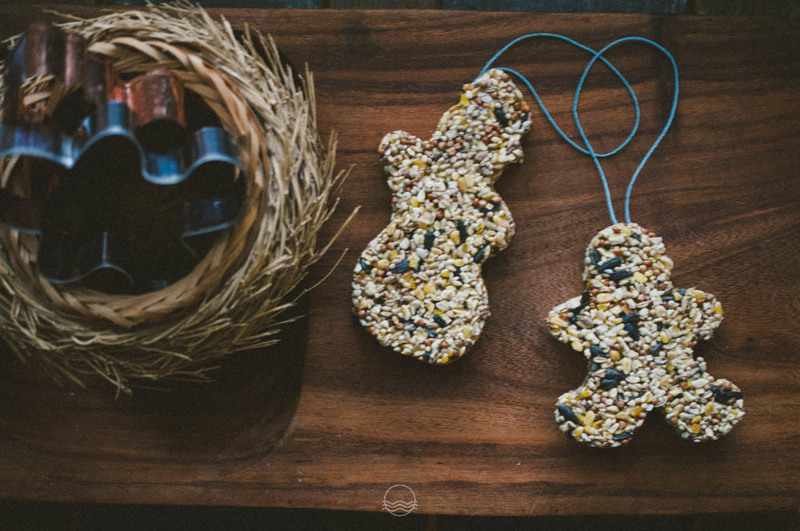 All you need for this project is a pack of gelatin, a bag of birdseed, wax paper, twine and some cookie cutters. It was simple enough for Eve to make one too (with a little help from me). We're going to make more for gifts when that time comes, but right now, it's a perfect early winter craft that's just for fun.